With more and more businesses seeing increasing mobile traffic, employing a responsive website design has become an absolute necessity. It is possible to lose out on a ton of potential customers if a website isn’t optimized for mobile devices. 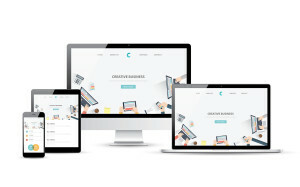 Web designers must know how to create a responsive website from scratch. Fortunately, this process isn’t as daunting as it once was. Follow these tips for building a mobile-friendly website. Many web designers like to showcase their designing skills when making a website. But when it comes to mobile design, it pays to keep things simple. Remember that you are delivering content to a very limited space. Your goal is not to reproduce the desktop site, but to offer the same experience and content to online visitors. Functionality must be your priority. A responsive website with all the bells and whistles can be for naught if the user experience is clunky. There are programs you can use to test different elements of your site before implementing them. These allow you to try out different breakpoints, media queries and layouts. Transferring the CSS to an advanced HTML editor is also made easy, letting you fine tune your coding and eliminate any issues. Media queries come in really handy when creating a responsive website. They are extremely simple to use as well. By using media queries, you can determine what style you want to render based on the device’s screen size. It is recommended to focus on the width conditions, so you can load alternate stylesheets depending on the current width used by the visitor. By using analytics tools, you can figure out what devices are used by your visitors and thus, define what resolutions to target. From this information, you can begin sorting your breakpoints. Don’t forget to optimize for low resolution mobile devices, as well. You can make your images resize based on the screen size used by the visitor. This eliminates the need to scroll when the image is too wide for a given screen size. Fluid images can increase conversion rates. Be sure to use GIF, JPEG and PNG-8 formats to limit file sizes and help speed up the website. 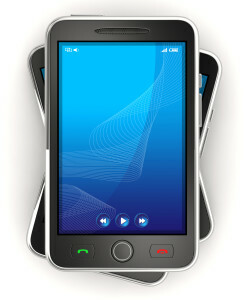 Not all elements of a desktop website must be included in its mobile version. As mentioned earlier, the goal is not to precisely reproduce the desktop website. For instance, the sidebar is a fundamental element of desktop web design, but it can clutter up the limited space of mobile screens. The same goes for navigation bars and links. Limiting the number of navigation menus to a maximum of 3 buttons usually work well. If the site needs more, then it is better to create a menu icon that provides a dropdown list of other items. It is also essential to test different ad placements. The number of ads you can display on a mobile screen may be fewer than what you can show on a desktop. Split testing enables you to determine what layout provides optimum conversion rates. Web designers also have the option of using an existing framework to build custom child themes. This can help save a measurable amount of time and money as the responsive website doesn’t have to be created from scratch. All websites must conform to the new standard of responsive web design. 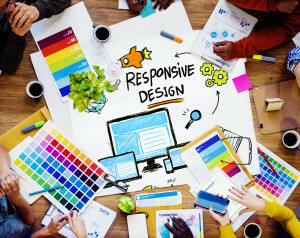 Remember that it is better to come up with a responsive design during the first few stages of website creation instead of dealing with it once the site is already built. There are tools you can use to get an idea about how the site looks and feels, allowing you to make adjustments before you write a single line of code. Jonathan Leger has been a successful Internet Marketer for over 11 years. He owns an SEO Tools suite at KeywordCanine.com and is the creator of a number of well known and respected software and service applications such as The Best Spinner, Article Builder and more.